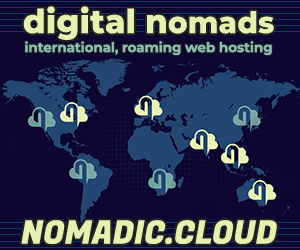 After appearing on my musical radar a few years ago, I’m pleased to be introducing David August to Digital Nomad Radio. Perhaps my favourite artist in the world today. It’s likely few of you have heard of him, as low key style is part of his allure. Yet, nobody in the know can deny his prolific impact on electronic and dance music in the world. David August was awarded the best live act of the year by leading electronic site Resident Advisor‘s poll for two times in a row. This is what makes David August a true underground gem. Born in Hamburg and raised in a musical family, David has since immersed himself in Berlin’s impressive musical scene, furthering his inspiration. David August began his career with a bang, releasing numerous underground hits that gained international acclaim. Moving Day (2010), is a slow building, melancholy ambient piece. You may be more familiar with his dance hit, You Got To Love Me (2011). The maturation of David August is evident over the past few years, churning out incredibly intelligent and musical compositions in the electronic / dance sphere. His songwriting has blossomed parallel to the evolution of his live electronica band. While there are about a dozen quality songs to share, here are a few of his highlights. For those who enjoy top notch DJ sets, check out David August’s Boiler Room set in Berlin. The first track is his incredible revision of Kollektiv Turmstrasse’s Last Day. This may be the most inspiring extended piece of music I have ever discovered in my lifetime. This hour long concert brings together David August with the Deutsches Symphonie Orchester, featuring wholly original compositions. I may have listened to this over a hundred times, hearing it most days. I enjoy working to it, creating to it, traveling to it. There are points that bring me to powerful emotions, even tears. My favourite music over the past decade. If anything could demonstrate my own musical and artistic style, it would be this composition. Indeed, there are a couple of songs that harmoniously flow with my own electronic-infused orchestral pieces. David August – chant#1 DCXXXIX A.C.
For a while, David August went quiet. He took a break from his public music career, for rest and inspiration. When he reemerged, a new style emerged: atmospheric, ambient music. Chant#1 is exactly an hour of ambient sounds, telling a sonic story while complemented by dazzling visuals. To support the release of his new album, D’Angelo, due in October 2018, David is booked at numerous live gigs across Europe over the summer and fall. In particular, his latest orchestral concert in Hamburg on September 21, is the date I have been looking forward to more than anything else this summer! 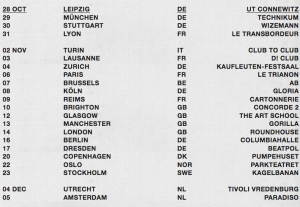 In addition, I am looking at attending at least one of the UK gigs, and his live show in Berlin. For more information on David August, and his upcoming tour dates, visit www.davidaugustx.com. Like David August? Check out last week’s introduction to Maribou State, another one of our favourite artists. 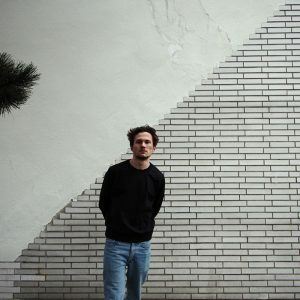 They play on consecutive evenings with David August November 2018 in Berlin.